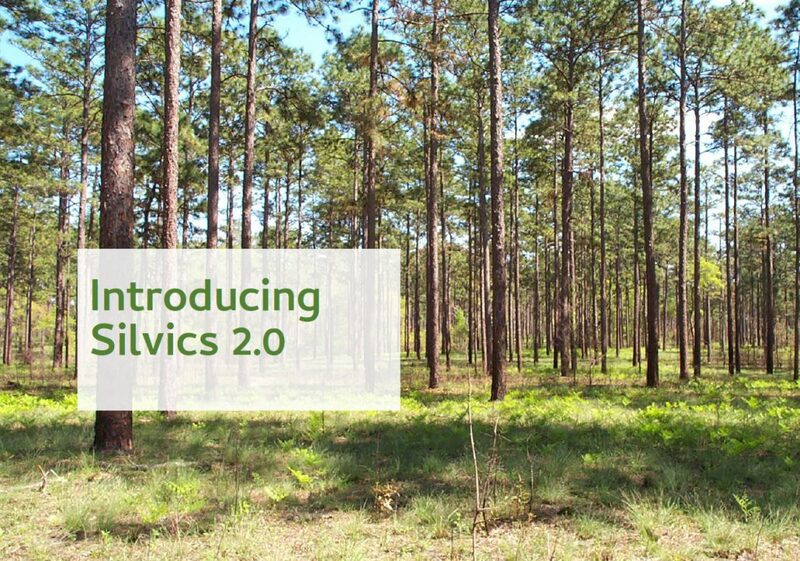 We are pleased to introduce our new forest management platform, Silvics 2.0. Silvics 2.0 is our freshly engineered software suite which has been built upon the bedrock of our Forester’s Desktop GIS (IFMS) and Forest Pro Forest Business Suite. Silvics 2.0 brings industry focused software, database and geographic information systems (GIS) solutions to industrial, private and conservation landowners. Over the past ten years, the value, power, and flexibility of Silvics Solutions has been tested and proven. The Silvics 2.0 suite provides a seamless workflow between desktop applications, handheld apps and the web. We have added new spatial and data management tools all presented with a new modern user interface. Our systems are designed to be intuitive and be used at all levels and skills sets within an organization. New features include prescription and accounting for management activities, mass data import of XY coordinates, cruise import compatibility from a variety of cruising software applications, boundary adjustment and whole feature update tools, the ability to associate documents and images, a new robust query tool with pre-defined queries and data views and updated intuitive wizards to walk the user through complex spatial operations just to name a few of the enhancements included in the Suite. We encourage you to take a look at the PDF that we’ve created for you to learn more about our products and services. You may review that PDF by clicking here. Silvics designs and develops GIS and web enabled information systems to support natural resource and rural land ownerships.